Every employer needs to keep their workforce happy, motivated and focused. The business operation is powered by the employees so you will never reach your potential unless you find a way to keep staff working hard and being productive. 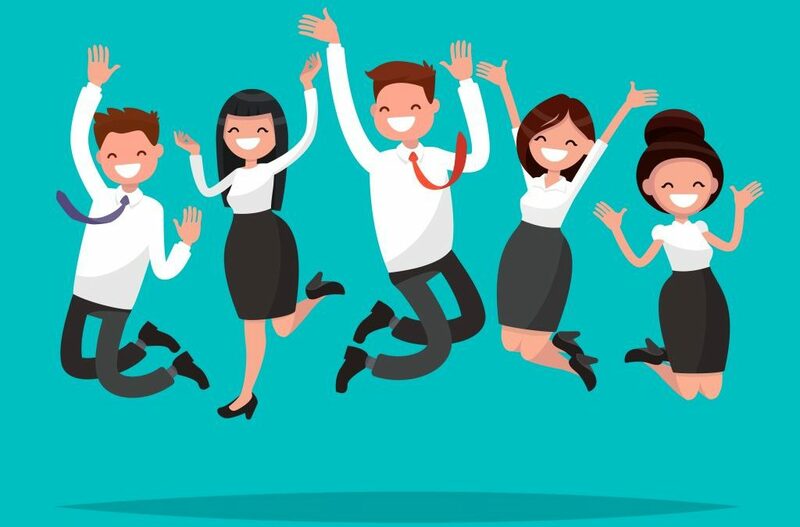 There are a few effective ways to keep staff morale high which every employer should consider, but it is also important to view this as an ongoing process which will require constant effort and care. Ultimately, this will create a working atmosphere which is both productive and enjoyable which will ensure that people come into work with a smile on their face each day. One of the best ways to keep staff morale high is to provide regular and genuine positive feedback. People respond very well to positive feedback yet often they are criticised for what they have not done instead of praised for what they have. It is a good idea to give positive feedback in public (and on social media), but if you have any constructive criticism this should be given in private. It can also be helpful to incentivise staff so that they have something to work towards each day. Set them achievable targets which earn rewards and you are sure to notice a spike in productivity along with morale. This could be any kind of reward, such as a day off, gift card or bonus. This will also generate a healthy dose of competition on the work floor which will naturally boost productivity. People work much better when they are working alongside people that they have bonded with. Team building activities can be a great way to unite the workforce while rewarding the team to a fun day out. One excellent idea is to treat them to an escape room as this is fantastic fun and encourages them to work together to achieve a common goal. These venues can be found everywhere so you need to simply perform a quick search, such as Escape Rooms in Birmingham. A great boss will encourage staff to progress and develop their skillset. This can be done by offering training to employees that want to progress and by promoting from within instead of looking externally. You can also give employees extra responsibilities and listen to what their wants and needs are from the role. As mentioned, creating a team-based mentality will encourage motivation as people will not want to let others down. You can cultivate this in the workplace through encouraging communication, having an open planned office and by creating projects that require collaboration and teamwork. If you are looking to motivate your workforce to create a positive working environment and to boost productivity then these are all excellent strategies. Every business owner needs to identify ways in which they can keep employees engaged, happy and motivated as this will allow the operation to run like a well-oiled machine and it could help the business to boost profits.